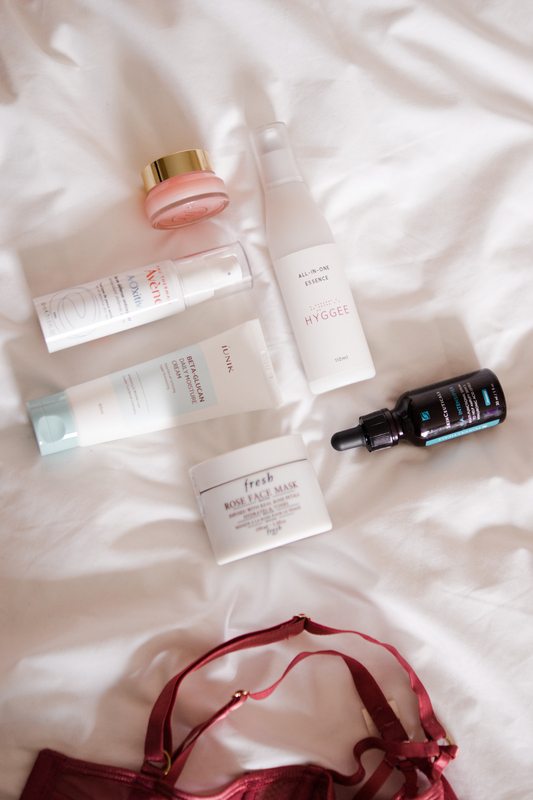 THREE OF MY BIGGEST SKIN CONCERNS + MY FAVOURITE PRODUCTS TO SOLVE THEM. On the whole, my skin tends to behave itself (apart from hormonal blemishes which often run rife once a month). I do however have a few skin concerns, that if I'm not careful, can become a bit of a problem. There are certain products that immediately come to mind when my skin is playing up. 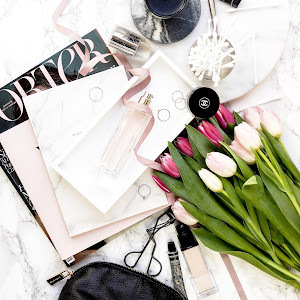 Whether that's from dryness, sensitivity or dullness, I've come to know what are my favourite problem-solving skincare items are, that are sure to give me a boost. I've already spoken about how I tend to deal with acne and acne scarring - all of the points from that post still stand if you're curious! I feel like this is one of my biggest skincare concerns. 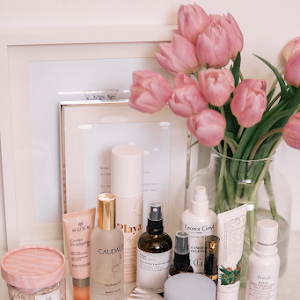 As of my mid-twenties, I started getting an outbreak of hormonal blemishes like clockwork each month, each of them 'kind' enough to leave behind a scar/mark after their departure - so products to help alleviate the hyperpigmentation are pretty front and centre of my skincare cabinet! I feel as they involve quite a bit of gentle exfoliation, these bunch of goodies are fab for congested skin and blemishes too so it's a double win. Vitamin C has got to be one of my favourite ingredients (if not the favourite), although not all are made equal. 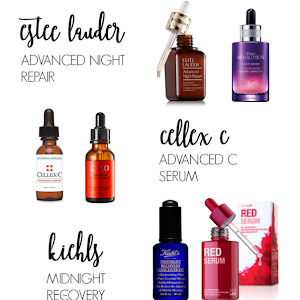 I've been going between the Medik 8 C-tetra serum c/o and the Vichy Vitamin C serum at the moment, both of which I'm loving (apply first, after cleansing). The former feels a bit like a dry oil so is lovely to wear alone at night for a lazy one-product routine (not an uncommon occurrence in my household!). Lixirskin's Vitamin C paste c/o (thoughts on this and the Lixirskin range here) and the Blithe Splashing Mask c/o (review here) are my favourite quick and easy brightening treatments, because they're the best combination of speedy and effective. I'll take whatever one is closest, whenever my skin needs a really quick pick me up. I really enjoy acid toners and 'beautifying waters', of which my two favourites are the Son + Park and Ordinary Glycolic toner. The latter is definitely my preferred acid toner as it's a good balance of strength and sensitivity. 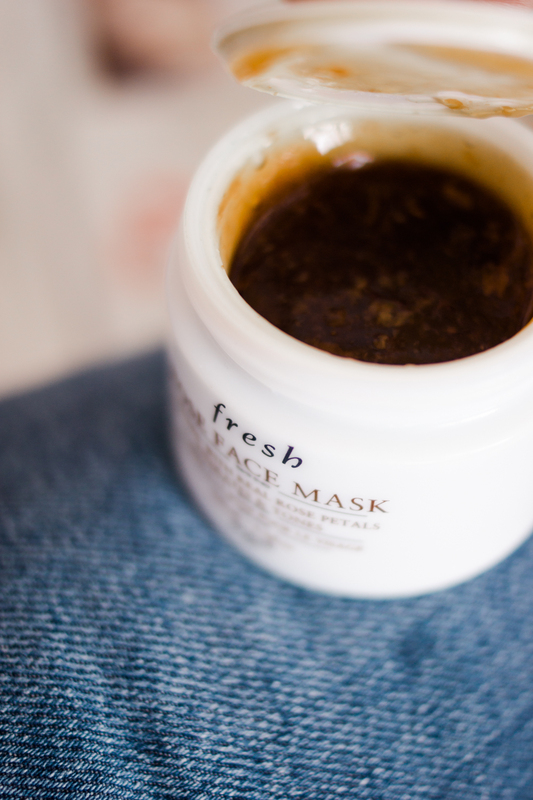 I just want you to know that I'm still using my OG masking favourites (the REN glycolactic and Oskia Renaissance mask), but a newer mask I've been loving over the last several months is set to join them in their lofty climbs up on Mount Beloved - and that's the Origins Retexturising Rose Clay mask (although who else wants to try their new Glow-Co-Nuts mask? Adorable name). 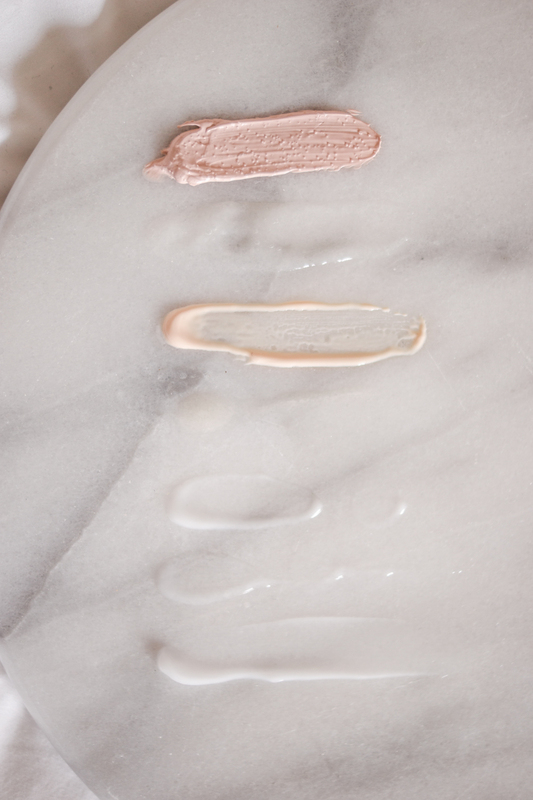 It's brightening, clarifying, and sort of covers all bases. 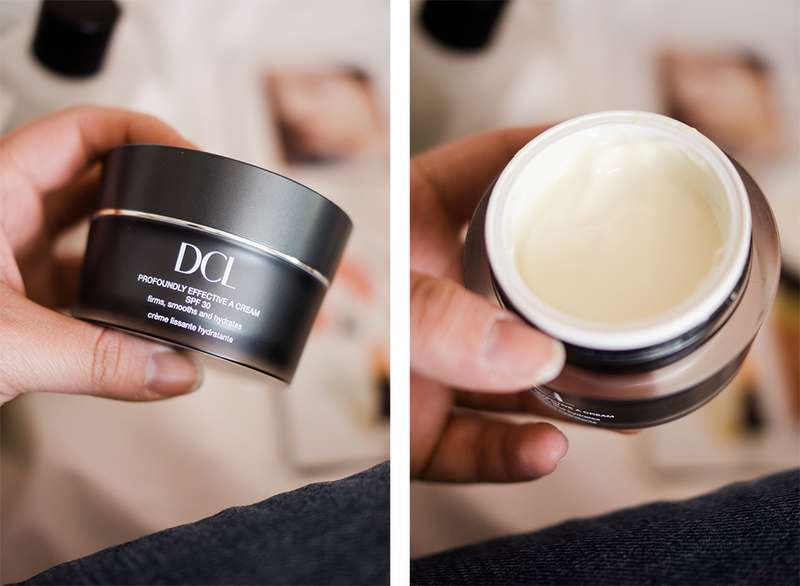 I'm not usually a big fan of clay masks because they're such a pain to remove, so I go a bit high maintenance and rub in this cream mask over the top of the dried Origins mask, which sort of moistens and emulsifies it again and makes it a lot easier to take off. Who wouldn't like to age gracefully? 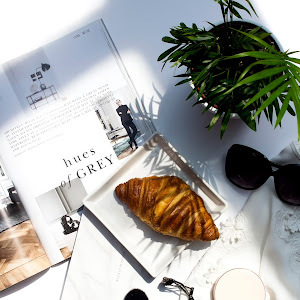 I'd certainly like to keep the appearance of youth for as long as possible, and I've spoken a little bit about it here on BTB, from some anti aging favourites to the Korean approach to anti aging. Amidst all of the marketing nonsense surrounding anti-aging products, I feel there are two essential cornerstones that are proven time and again - if you do nothing else! You'll all be sick to the back teeth of hearing about wearing SPF - so all I'll say is if you're not doing it, start doing it. 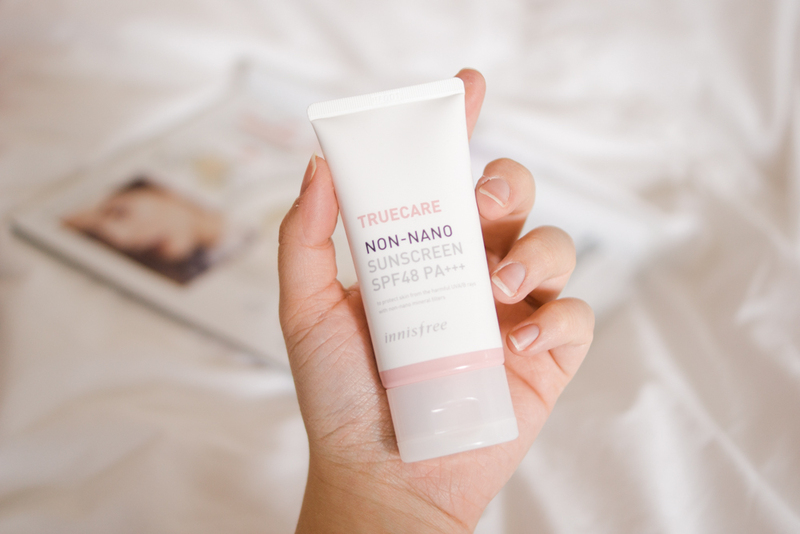 I've been trying out the Innisfree Truecare SPF because it's supposed to be a gentle, water-based, non-comodogenic sunscreen that isn't chock full of alcohols to thin it out like a couple I could mention.. It absolutely has a white cast/very pale brightening effect, which honestly isn't a bother to me at all because even tinted moisturiser sorts that out, and I'll forgo it for how light and non-intrusive it feels on the skin. My other must have anti-ager is a good retinoid product. 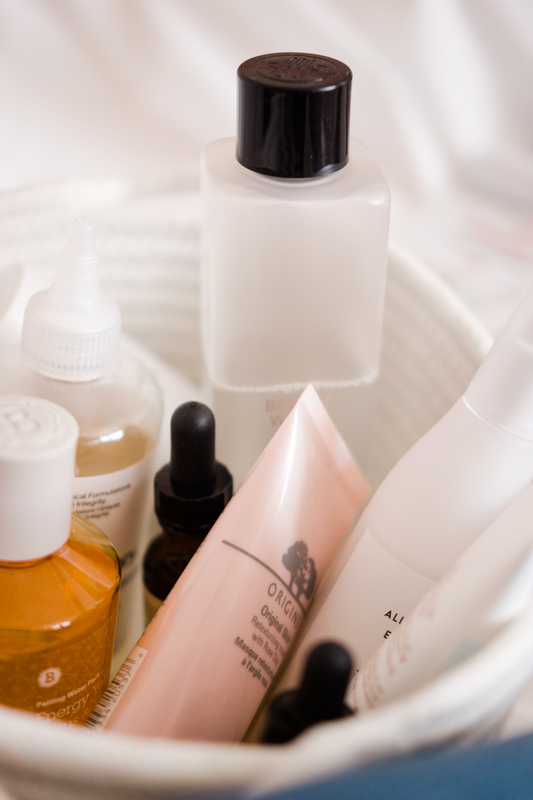 I did a bit of a retinol 101 a little while ago because, frankly, the topic is confusing, and I've come to find that as far as retinoids go, I like things simple (also my general life philosophy). 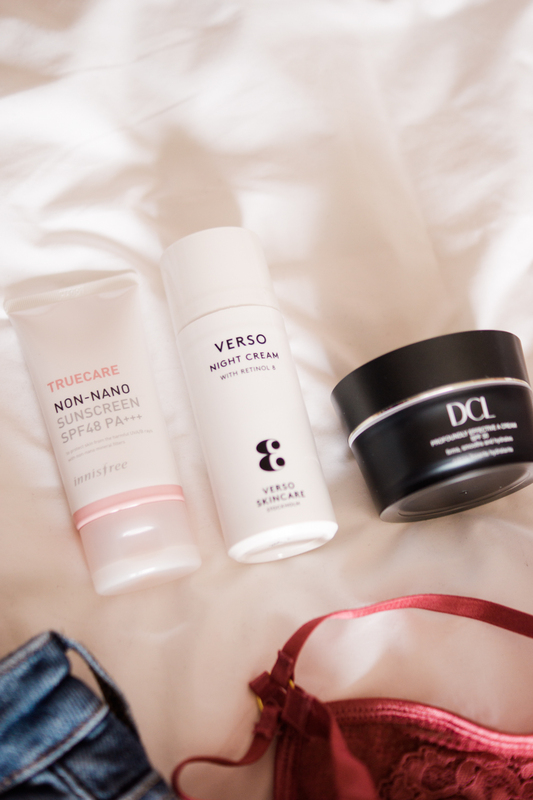 I love the DCL A cream c/o for day, and the Verso Night cream for night, because they play well with any other product I layer them with and they're gentle. 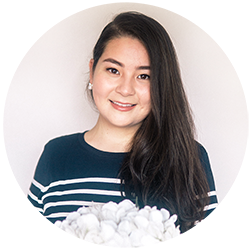 I spoke about why I'm taking a gentle approach with skincare, and I really believe in giving your skin a break. I think we're all looking for immediate results, a miracle cure, the new 'wonder ingredient' (I include myself in this sometimes!) 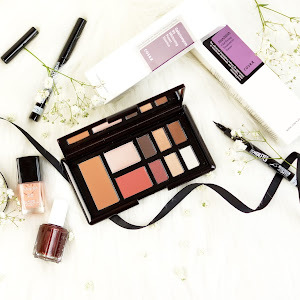 but there's a lot to be said for gentle formulas, natural ingredients and just simply keeping hydrated - and that's why this category of products are among my very favourites. 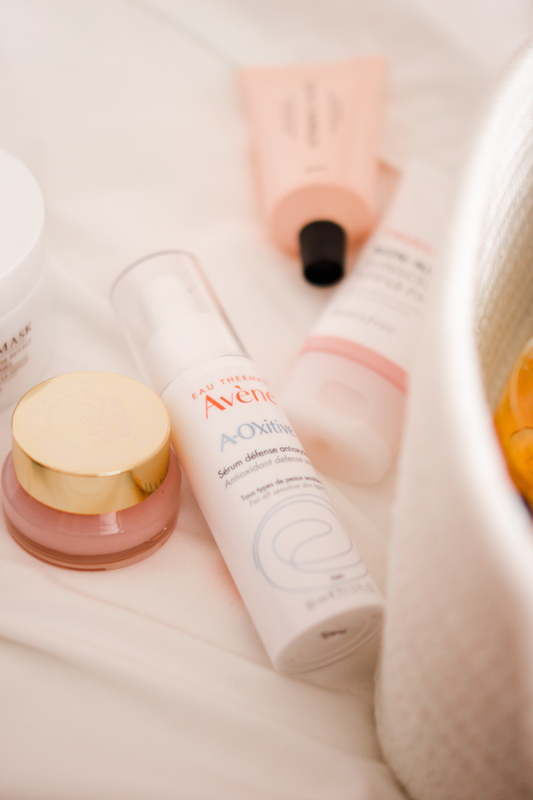 Avene's antioxidant serum and Hyggee's All In One Essence. Honestly this duo. 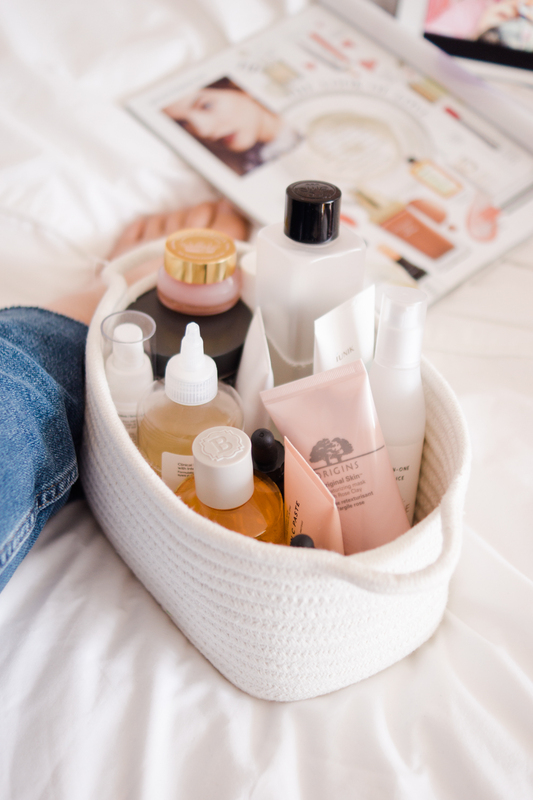 They're each superb products in their own right, but layered together leaves my skin feeling extra wonderful and hydrated, whether at the end of the day or before makeup in the morning. I spoke about them more in this post a couple of months ago and I've been using them incessantly ever since. A couple of newer items in my life are Fresh's Rose line c/o and Skinceuticals' HA Intensifier c/o, and they're well worth a mention. 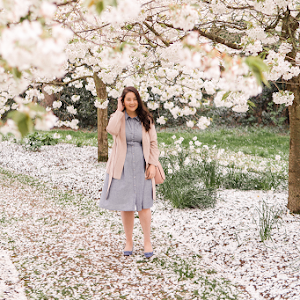 I'm testing out the rose items at the mo but they've made such a good impression - my first thoughts were how similar in texture they felt to La Mer, and that's always a good thing. The Skinceuticals serum is a really interesting one. It's unlike any hyaluronic product I've tried, that are usually quite watery in texture and don't feel like they're doing an awful lot. It's so much more viscous than I expected, not to mention it's red in colour (I joked on my Stories that I'd applied the new skincare trend of 'strawberry jam' to my face - that's precisely what it looks like!) and it's got a slightly oily feel (in a good way) to it and makes my skin feel wonderful. A rarely mentioned product and good all-round, sensitive-skin-suitable moisturiser is Iunik's Beta-Glucan Daily Moisturiser c/o. 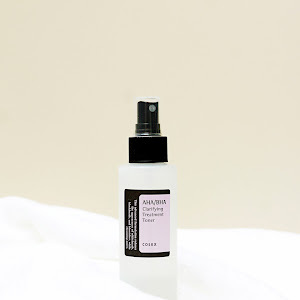 It's a gentle formula of hydrators like beta glucan, glycerin, centella asiatica and aloe, and has a bit of a silicone-esque, primer feel to it so great for daytime. Wendy of Emile Cordon sent me a couple of their lip balms and I think they've now become my very favourite balms. 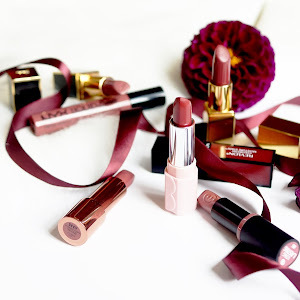 They're really rich in castor oil, which I'm sure you know I love - I'll often apply it neat to my lips for the best possible kind of moisturisation, but now that I've these gorgeous little pots, there's no need! I'd love to hear about the skincare you turn to in times of need! Hope you're all enjoying your Sundays, even if they're as drizzly as mine! The Blithe Splashing Mask sounds pretty cool, I'll look into that one! Amazing pictures my dear! You are truly one of my inspirations when it comes to making great and romantic pictures. My skin has been really going up and down. I was dealing with dehydrated skin which was weird because I always thought that an oily skin girl like me would never get dehydrated. I started using some L'Occitane Aqua Reotier gel en essence and that really helped alongside the Queen of the Hungary face mist. Beside that I also deal with a lot of hyperpigmentation because of the huge breakouts every month. Currently I use the Kiehls 12,5% Vitamin C which has a smooth texture and I love to layer it with other products. 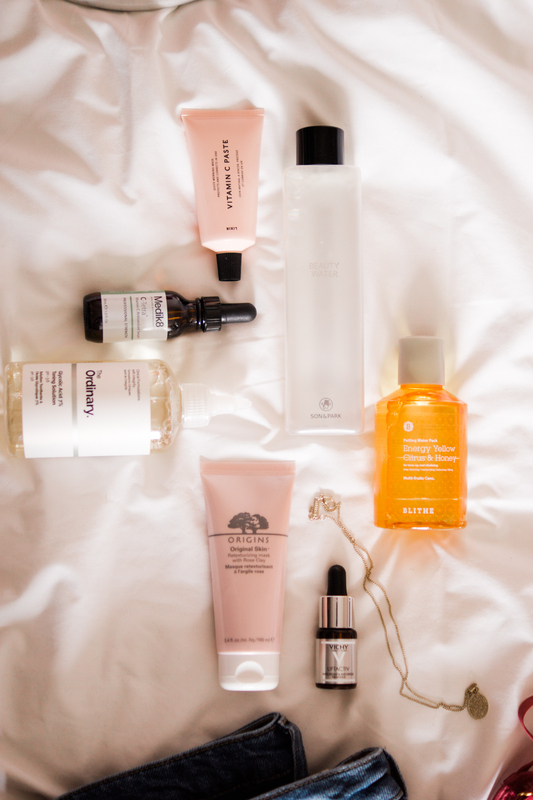 Thank you for sharing your skin saviors! 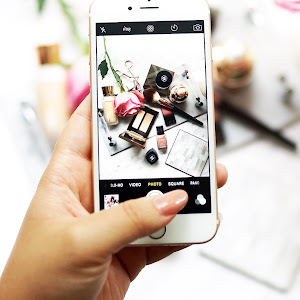 OOoh I always struggle when it comes to brightening my skin! I find that it just look so dull and lifeless by the end of the day. Might have to give these products a try! 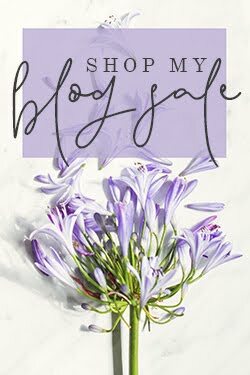 This is such an informative post, I am going to have to try some of these items out for myself! I have also noticed that as I am getting older after I have a pimple it leaves a mark, which I am not too pleased about!